This little guy needs a great forever home! 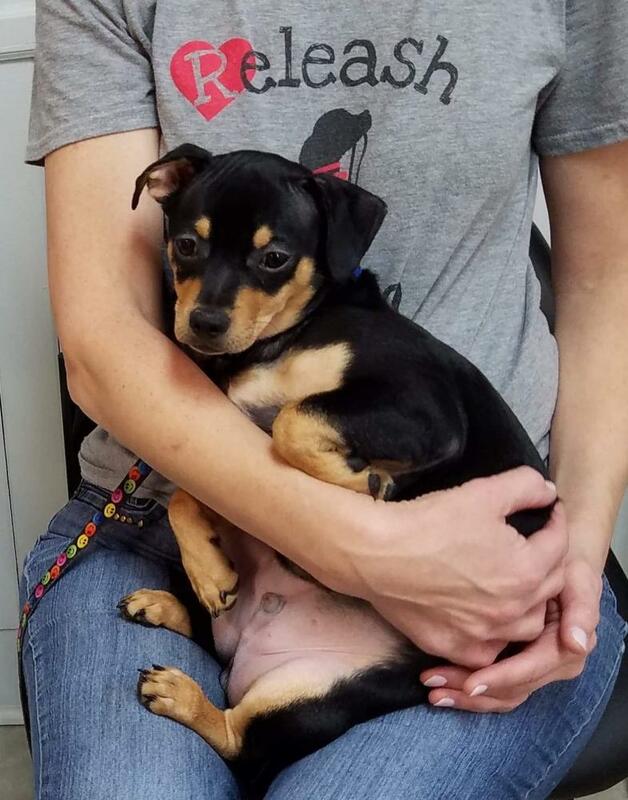 Meet Rocky, the sweetest little chi mix puppy. He is 5 months old and just as darling as can be. He is 13 lb now and anticipated to be around 18 to 20 lb as an adult. He has a fantastic personality and has promptly won over all the dogs in his foster's home! He is playful and snuggly. He is an A+student in potty training class and will not have accidents if he is taken out regularly. 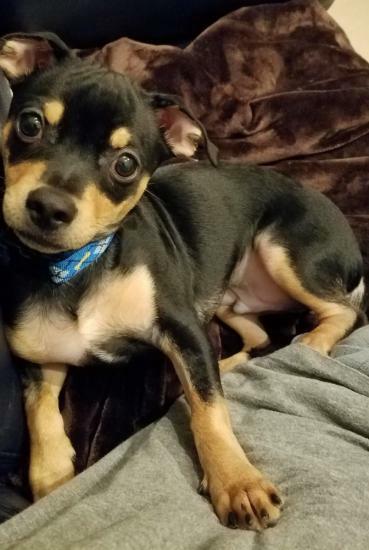 As he is still a puppy he will need an adopter who will not leave him alone for more than 4 hours at a time at least for the next 4 to 6 months. 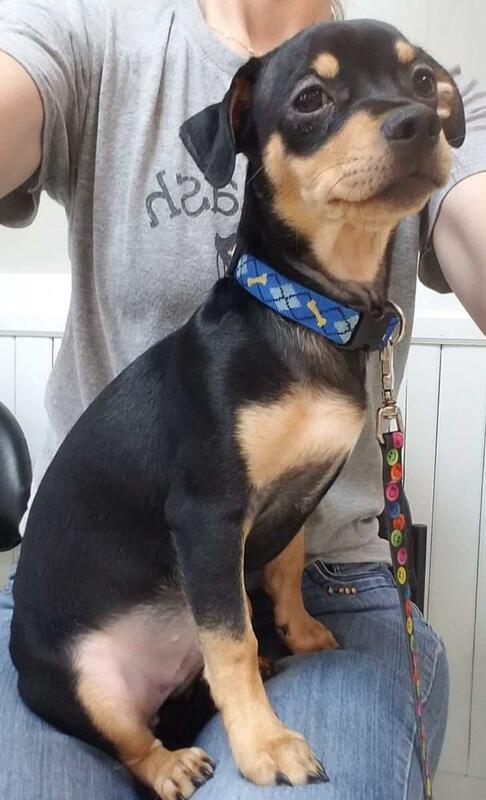 His foster mommy sometimes calls him "shadow" since he follows her around everywhere. 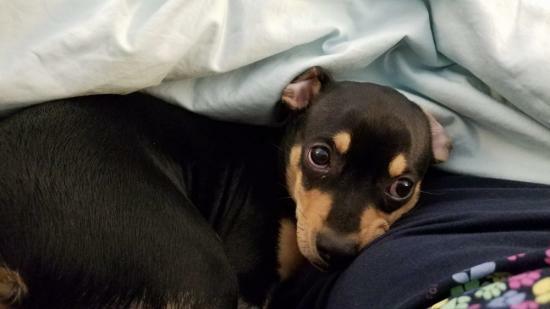 He is a little timid of new environments since he's just a little guy, so will need someone who will continue to work with him to build his confidence. 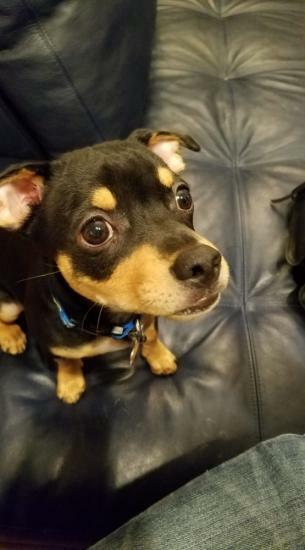 He would be expected to be sweet with children but will need supervision since he is still a mouthy puppy. He will also likely be fine with cats.